Share a product you like with other people by Twitter, Facebook, Pinterest, Polyvore, Linkedln, Google, Tumblr, Wanelo. 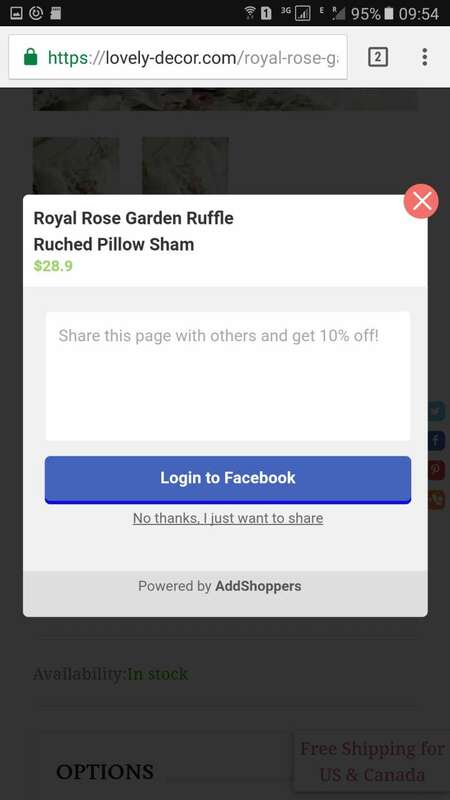 After you share a product, the coupon code will be displayed on the screen. 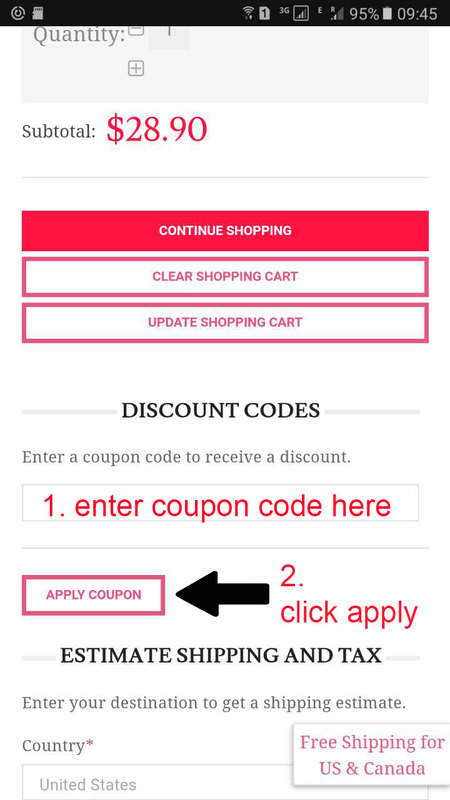 Please enter this coupon code on your shopping cart page before proceeding to checkout. 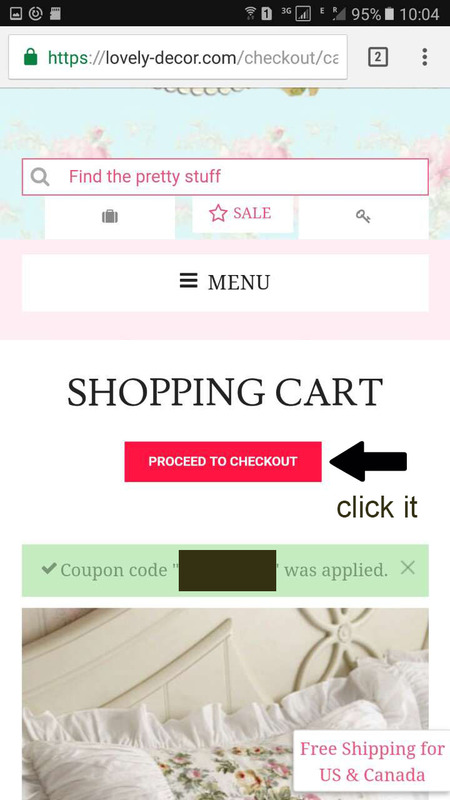 You will see "coupon code was applied" in green. Then click the “proceed to checkout” to enter your address and payment information. Please note: The coupon code must be entered in the coupon code page in order to receive a discount.